SUMMARY: Archaeologist Indiana Jones races to find and secure the lost ark of the covenant before the Nazi’s use it to conquer the world. DETAILS: This film in many ways is timeless. Although it was originally released in 1981 the story and the storytelling still hold up amazingly well. Harrison Ford plays Henry Walton Jones, Jr. (aka Indiana Jones) in this film that re-defined adventure films for a new generation. Indiana Jones is a tireless, adventure seeking archaeologist who is deathly afraid of snakes and who only wants his discoveries to benefit his university’s museum. Jones learns of a search in Egypt for the lost ark of the covenant. This ark is the Biblically described, gold-plated, acacia wood chest that held the stone tablets of the 10 commandments, Aaron’s rod (that continually budded), a jar of manna (the daily food God provided for the Israelite’s in the wilderness), and the first Torah scroll that was written by Moses (the first five books of the Old Testament). The only thing standing between Jones and the ark is an army of Nazi’s that are trying to find it first in an attempt to secure victory for Hitler. This film is a fantastic Steven Spielberg and George Lucas collaboration and Harrison Ford does an amazing job creating adventure character that will out live all of us. 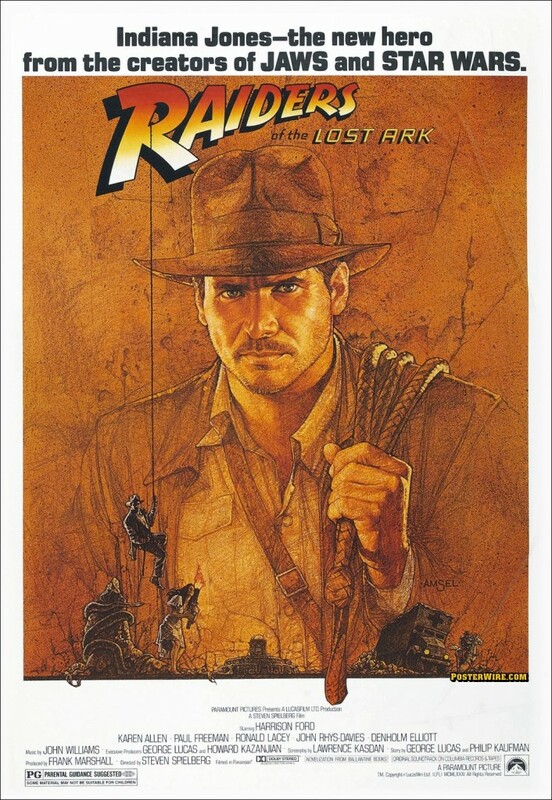 Raiders of the Lost Ark was nominated for 9 Academy Awards in 1982 including Best Picture and it won 4 (Best Art Direction, Best Film Editing, Best Sound, Best Visual Effects). One of the reasons this film is timeless is that it was created as a period piece set in the 1930’s and as such it didn’t suffer from the stylistic and musical trappings of 1980’s filmmaking. The only piece of this film that screams 1980’s are the melting effects of the evil characters at the end of the story. Although they were brilliantly created and amazingly well done, the effects available today certainly make these appear dated. Regardless, this classic is definitely worth watching. Introduce it to your teenagers. You won’t regret it. By the way, this film was originally released as Raiders of the Lost Ark and then as the franchise took off it was later re-released as Indiana Jones and the Raiders of the Lost Ark.